Each State/UT conducts its own examination. They have the autonomy to lay down their own norms for the purpose of determining the eligibility of the candidates. This examination is primarily used to recommend a given number of candidates for the second level test to be conducted by the NCERT. This number is based on the enrolment of students at Classes IX and X in different States/UTs. The candidates are to be recommended on the basis of the merit in the written examination conducted by the States/UTs. The details of the number of candidates for different States/UTs as applicable are notified separately. The state level screening examination is conducted in all State/UT’s on first Sunday of November except in Nagaland, Andaman and Nicobar Island, Meghalaya and Mizoram where it will be conducted on first Saturday of November every year until and unless some special circumstances occur. The addresses of the Liaison Officers of each State/UT are given in Appendix with whom information about state level examination may be sought. All students studying in Class X in any type of recognized school including Kendriya Vidyalaya, Navodaya Vidyalaya, and Sainik School etc. will be eligible to appear at the State Level Examination from the State in which the school is located. However, no domicile restriction shall be imposed. The state may impose any other eligibility condition for appearing in the screening examination like any qualifying percentage of marks in the previous annual examination etc. Students registered under Open and Distance Learning (ODL) are also eligible for scholarship provided the students are below the age of 18 years (as on 1st July of that particular year) the students is not employed and they are appearing in class X for the first time. 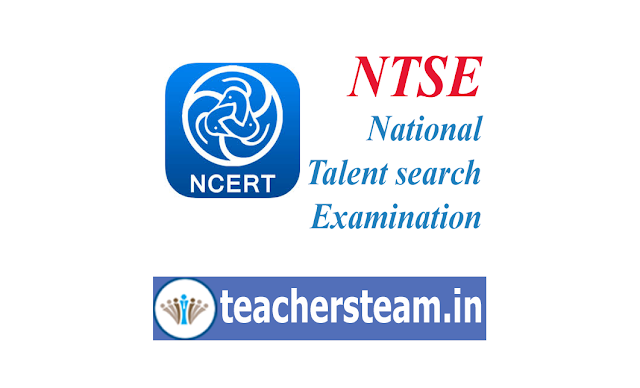 There is no prescribed syllabus for the NTS examination. However, the standard of items shall be conforming to the level of Classes IX and X. Examination will be conducted in all other states and UTs (except West Bengal) on 04-11-2018. The tests will be available in the following languages: Asamiya, Bangla, English, Gujarati, Hindi, Kannada, Marathi, Malayalam, Odia, Punjabi, Tamil, Telugu and Urdu. The candidate has to mention his option regarding the language in which he/she want to take the test in the application form. Accordingly, the question booklet in that language shall be made available to the candidate at the centre. After exercising this option, no request for the change of medium will be entertained.